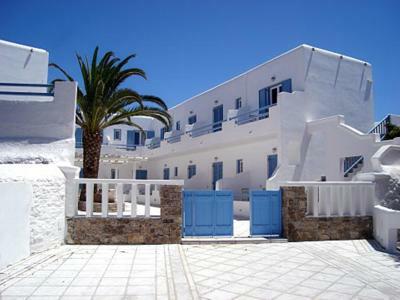 it s really close from Mykonos city (10 min walk). The breakfast is good and the shuttle was really helpful. Clean place. We liked the free breakfast and very friendly staff. It wasn’t in Mykonos center (about a 10-15 min walk away), but they provided a free pick up and drop off service which we greatly appreciated. 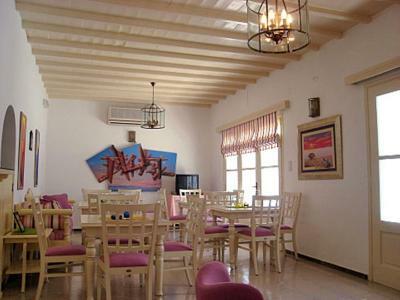 Very close to the down town, surrounded by ATV rentals and the mini-market is just few meters away. Noting also that they provide a free shuttle transportation from and to the Airport or Port. The best part was the staff, especially Elena that greeted us with such a cheerie smile and disposition you felt welcome right away. The location couldn't have been more perfect. Great choice for a reasonable price and ideal location to walk in to town. Highly recommend. There was enought room space, the balcony, the location and the breakfast was pretty good. We absolutely loved Magas hotel! Great value, the nicest staff, COMFIEST bed and pillows lol .. and only a ten minute walk to little Venice. The free breakfast is also an added bonus... great place for budget travellers. 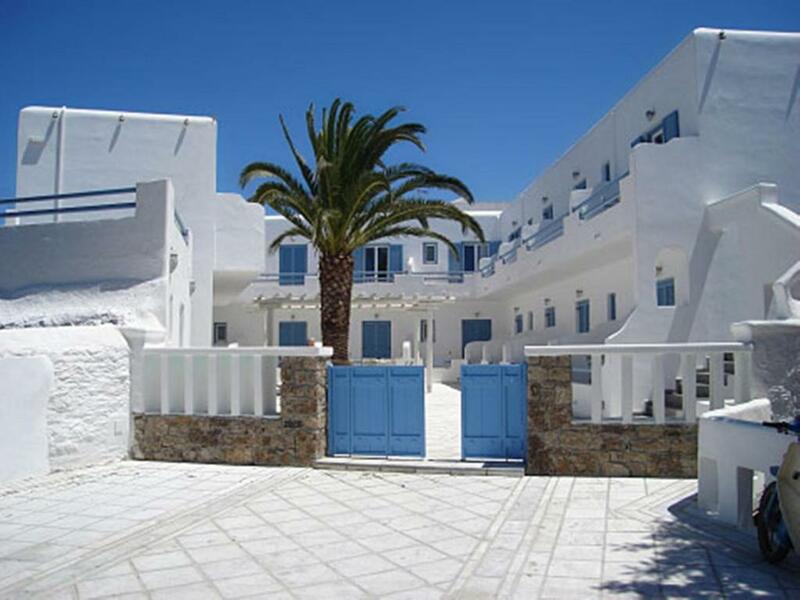 Hotel Magas is located 1,650 feet away from Mykonos town. 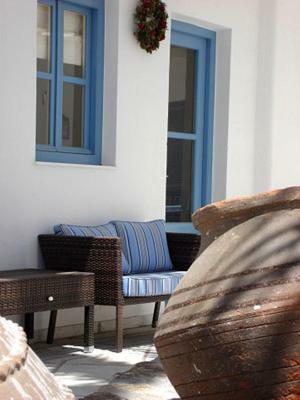 It features traditional Cycladic architechture and air-conditioned rooms with private bathrooms. Free 2-way transfer from airport or port can be arranged. 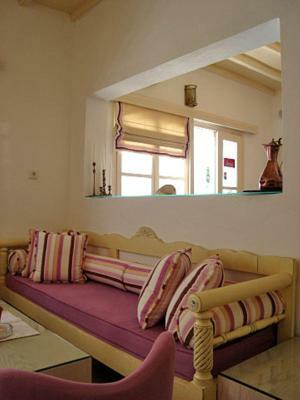 Bright and airy room decorated in typical Cycladic style. Please note that guests are welcome to use the swimming pool and snack bar of Magas Hotel sister property, 1,650 feet away. There is a free 2-way transfer from airport or port. Guests who would like to use this service are kindly requested to contact the property 3 days in advance providing the arrival details. No complaints other than the bathroom is very small and no hook 2 hang up the shower head. Perfect location(10-15mins walking distance to center ; bus station is just crosses street nearby mini market /nice breakfasts. The room is clean and staff is very nice and helpful. Recommend it for who has limite budget. It's on a dark, busy and quite dangerous Street. But very common in Mykonos. 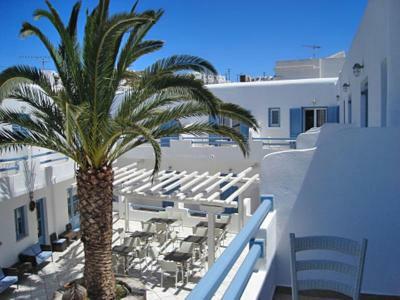 The breakfast is ok but served too early for the times of Mykonos (till 10 o'clock it's like early morning in Mykonos). Staff at the reception very nice, not so much during the breakfast. It's just 10 mins walk from Fabrica, nice room, cleaning everyday, staff very helpful, the shuttle service from and to the airport excellent. The toilet could be improved, but for the price is more than enough. The breakfast is ok, good choices from sweets to salted choices. The mini fridge in the room helps in case you wanna eat something on the go. extra comfy bed and absolutely amazing buffet breakfast and pick up and drop off, have stayed previously, totally recommend. Position, transfer service, breakfast, receptionist, bike rent associated service. Infant had good time with housekeeping lady. Near to town but not in town. 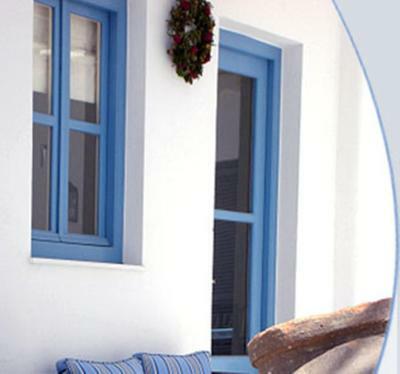 A wonderful stay with great breakfast, confortable bed and balcony. Friendly staff and fresh towels daily! Ten minute walk to the main bus station and town. Quiet location at night for a great night sleep. This was my third time and will be returning without hesitation. The bathroom could be better. 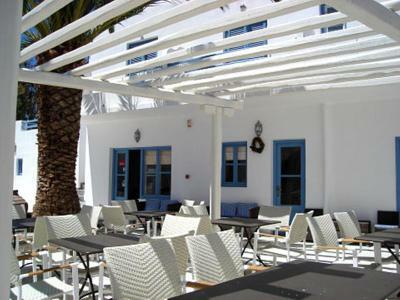 Really well located, close to main beaches and parties and city Center. Really good hotel. The hotel and the room was really close from the road and the traffic was noisy. It was difficult to use the balcony. The bathroom is small.